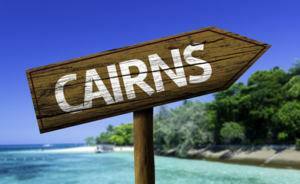 Relocating from Brisbane to Cairns? Noosa Van Lines can assist you. With a modern fleet, highly trained and knowledgeable office and removals staff, state of the art office software and tracking systems, you can be sure your relocation from Brisbane to Cairns will be of the highest quality. Noosa Van Lines has been supplying customers with relocation options to North Queensland since it commenced operations in 1981. At Noosa Van Lines our team pride themselves on their workmanship and as an organisation we take very seriously our membership of AFRA, committing to the highest standards within the industry in Australia. You can read what a large number of our customers say about our service and their own experience in dealing with us, by viewing the reviews and testimonials on this site, as well as other review sites on the internet. We will do our utmost to make your move as easy and as stress free as possible for you. Honouring our quotation, based on the accuracy of information supplied. Providing the exact service we have specified and agreed with you in advance. Ensuring we only use the highest quality staff members, all trained in the process of loading/unloading, pre packing and speciality item relocation. Communicating with you throughout your move, to ensure you are aware of uplift and arrival times/schedule. Wrapping of all unboxed items. Mattress covers, lounge covers, shrink wrapping of items, as agreed within our quotation. Full or part pre packing service. Back loading or sole occupancy of vehicle/s. Please click here for a free of charge quotation, ensuring all information provided is accurate so our quotation can be too.